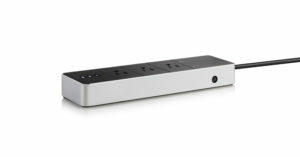 German-based company Eve Systems has announced two new additions, the Eve Light Strip and Eve Power Strip, to its smart home series of products. The two products were showcased at CES this year in Las Vegas, but the products won’t be available to the public until March. Eve says that more Canadians are asking for smart home products, particularly ones that seamlessly can be integrated with an existing home. The new powerstrip is the latest iteration of Eve’s smart plug, which is a single output plug that makes any dumb device into a smart device. The power strip will have a triple output, allowing customers to convert more dumb devices into smart ones. Eve says that its devices are only compatible with Apple’s smart home HomeKit platform, and as such users can turn products on and off using any Apple device or with the help of Siri. Along with the Power Strip, the public got a first look at Eve’s Light Strip, a two meter thin light strip that has LED lights. Eve says that it has 1800 lumens, the brightest quantity of visible light for LED lighting. Eve says that users can customize their light strips by cutting or adding strips and changing the colour from its basic warm-toned white light to any colour they want. Strips can be extended up to 10 meters. 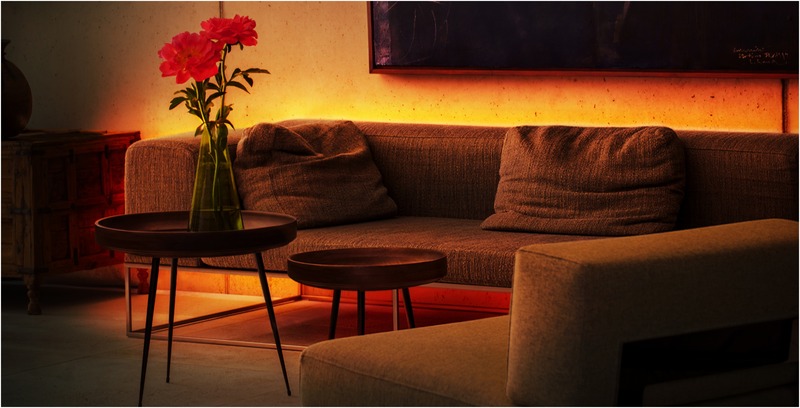 Users can put the light strip under counters, in their bedrooms, or anywhere to create an ambient interior, Eve says. The company adds that the Power Strip will be priced at $119 USD ($159.39 CAD) and the Light Strip will be priced at $79 USD ($105.79 CAD). We’ll update this article once Canadian pricing becomes available.